What happens when artists and specialists from technical and academic fields embrace innovation? Magic; that’s what! 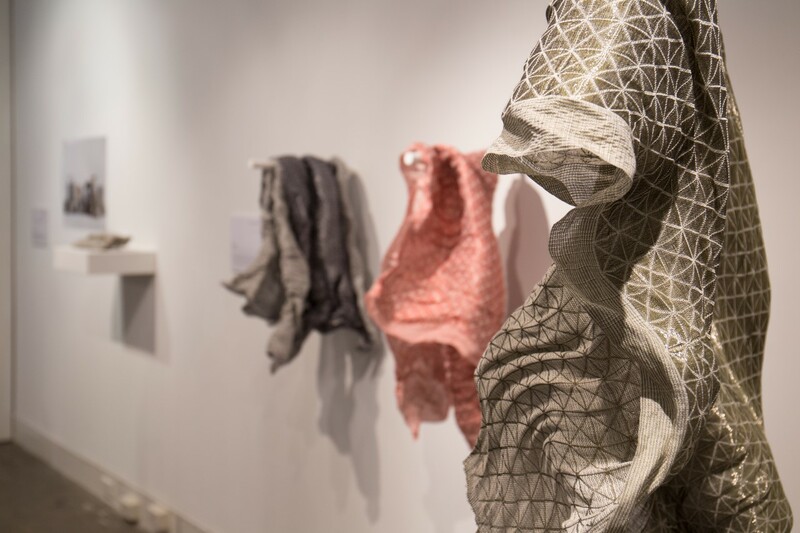 Ten examples of wonderful collaborations are being exhibited now at Craft ACT: Craft and Design Centre. Embracing Innovation Volume 6 is truly fascinating with some projects involving up to 15 artists and experts. One example is a Lego-like, hands-on assembly educational toy, designed to help Australian children learn Japanese. It’s the result of a cross-disciplinary research project involving a linguist and industrial designers. 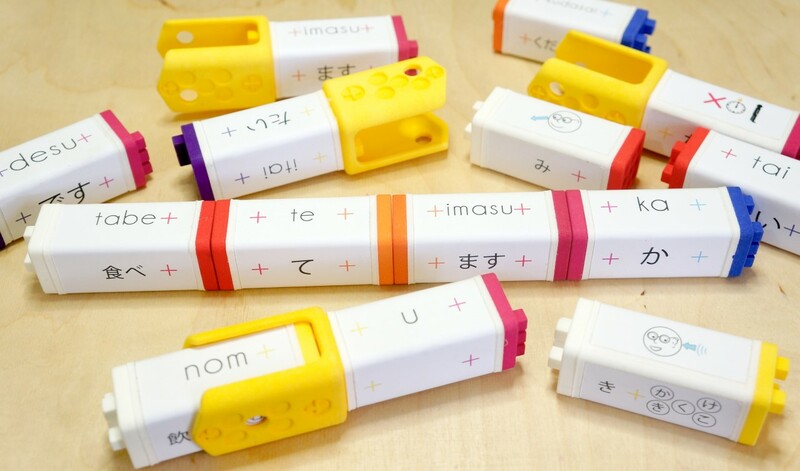 The result is rectangular 3-D printed paper pieces imprinted with images, Japanese words and phonics. Using colours to guide the sentence structure, the pieces simply click-and-connect; making learning fun. Also inspiring is the work by Canberra-based textile artist Jennifer Robertson. If you look closely at Jennifer’s scarves, you’ll see that they have thin lines of stainless steel running through them. Jennifer has hand-woven the scarves on a digital loom. While the mention of stainless steel conjures up images of a hard, heavy and rigid matter, the scarves are soft, light and warm. You can shape them in any way around your body or create your own sculpture to display at home. The artists and specialists behind the works displayed are from various counties including Australia, Canada, England, and Japan. Young fashion designer Tamara Efrat is from Israel, and she’s teamed up with experts from the School of Computer Science at Hebrew University to create patterns using computer algorithms. 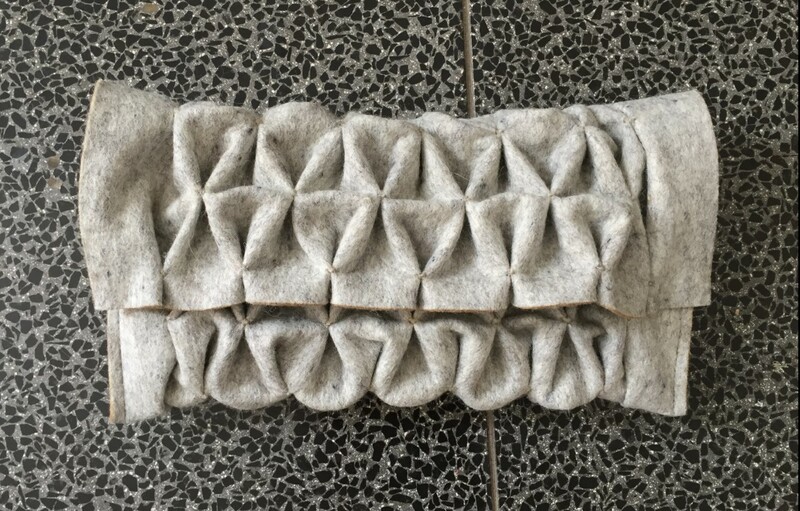 She then uses traditional smocking embroidery and parametric tools to create thick felt clutches and handbags based on the patterns. Jenny Judge, who has lived in the southern and northern hemispheres, uses photogrammetry to create sculptures reflecting geographic formations in Whistler, Canada, and Matapouri, New Zealand. She walks in nature, tracking topography and then scans it onto the computer. 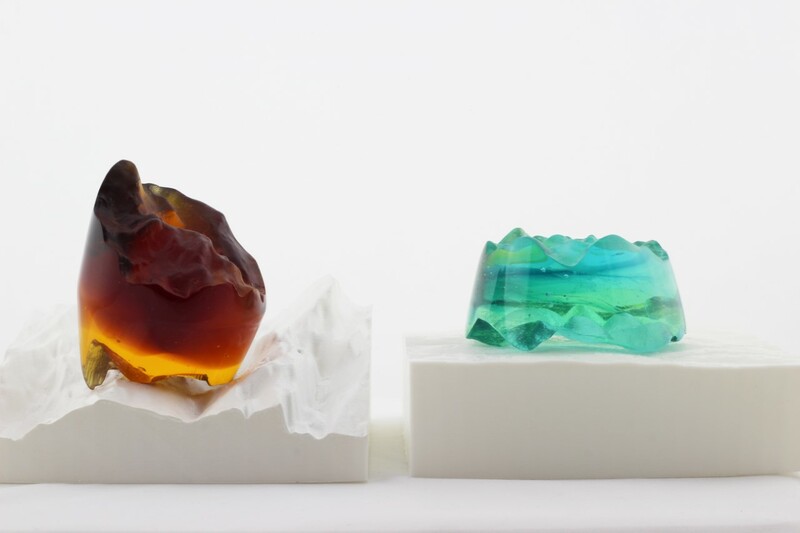 Next she manipulates it; 3D prints sculptural shelves, and sets on the shelves colourful cast-glass objects. This is the sixth in an annual series hosted by Craft ACT. Mel George from Craft ACT, who curated the show, says each display is an intriguing example of innovation in the creative arts, focusing on craft and design. is on now until 27 August and is not to be missed. This entry was posted in LFW Your Canberra and tagged Craft ACT Design and Craft Centre, Embracing Innovation Canberra, learning Japanese with lego-like toys, Silk and wire scarves on August 9, 2016 by gracienumber1.